Introduction – roads as vehicles of development? Nepal's mountain roads – vehicles of disaster? Invited perspectives: Mountain roads in Nepal at a new crossroads Invited perspectives: Mountain roads in Nepal at a new crossroads Karen Sudmeier-Rieux et al. In Nepal and many developing countries around the world, roads are vehicles for development for communities in rural areas. By reducing travel time on foot, opportunities are opened for quicker transportation of goods and better access to employment, education, health care and markets. Roads also fuel migration and numerous social changes, both positive and negative. Poorly constructed roads in mountainous areas of Nepal have increased erosion and landslide risk as they often cut through fragile geology, destabilizing slopes and altering local hydrological conditions, with costs to lives and livelihoods. The convergence of the newly constituted decentralized Nepali government with China's Belt and Road Initiative is likely to bring more roads to rural communities. The new provincial government administrations now have the opportunity to develop policies and practices, which can realign the current trend of poorly engineered, inefficient and hazardous road construction toward a more sustainable trajectory. This commentary provides an overview of some of the obstacles along the way for a more sustainable road network in Nepal and illustrates how good governance, development and landslide risk are intertwined. The opinion presented in this brief commentary lends little hope that Nepal's current pathway of unsustainable road construction will provide the country with the much-needed sustainable road network, unless checks and balances are put in place to curb noncompliance with existing laws and policies. Sudmeier-Rieux, K., McAdoo, B. G., Devkota, S., Rajbhandari, P. C. L., Howell, J., and Sharma, S.: Invited perspectives: Mountain roads in Nepal at a new crossroads, Nat. Hazards Earth Syst. Sci., 19, 655-660, https://doi.org/10.5194/nhess-19-655-2019, 2019. 1 Introduction – roads as vehicles of development? For the past 2 decades, development of the road network in Nepal has topped community and government priorities, a trend likely to continue as the country transitions to a decentralized federal government (Rankin et al., 2017). In parallel, China's new Belt and Road Initiative (BRI) offers the promise of investments in key infrastructure: expanding trunk roads, hydroelectricity, trade and development (Wire, 2017; Economist, 2017). Yet as Nepal devolves significant power to local and provincial administrations, it is uncertain whether the newly formed local administrations will rise to the challenge of establishing safeguards to ensure that promised benefits outweigh potential losses. We suggest that the issue of poor roads in Nepal is a political not a technical issue and one for which better service and less environmental damage could both be significantly addressed through improved governance. This commentary points to the need for improved road governance based on research, consultations and observations of road construction and associated landslides in Nepal and around the world (e.g., Blaikie et al., 1980; Sidle et al., 2012; Jaboyedoff et al., 2016; Rankin et al., 2017). It also highlights the need for more scientific studies on the topic as most relevant publications emanated from the grey literature, government publications or media articles. Roads are globally accepted livelihood links for communities in rural areas. By reducing travel time on foot, opportunities are opened for quicker transportation of goods and better access to employment, education and health (Hettige, 2006; Bryceson et al., 2008). Roads generally create direct and indirect benefits to rural populations, directly through employment in constructing and maintaining them and in providing rural transportation services. Indirectly they provide opportunities for marketing goods and services, flexibility for employment and roadside businesses, and opportunities for transporting agricultural products to markets (Bryceson et al., 2008; Iimi et al., 2016). They can provide a safety net of sorts in generating alternative livelihood opportunities, especially in circumstances in which conditions for agriculture are difficult. In general, connectivity is thus positively correlated with lower poverty rates (Hettige, 2006; Iimi et al., 2016). Additionally, there are many nonmonetary benefits of roads, especially greater access for the poor to health and other public services, such as education, which can significantly reduce vulnerability and even gender inequality (Starkey et al., 2013). In Nepal, roads are also linked to the current boom in migration, facilitating easier mobility to both near and distant migration destinations (Jaquet et al., 2015; Upreti and Shrestha, 2016). Finally, a robust road infrastructure can provide vital corridors for evacuation and rescue in the aftermath of disaster. However, benefits of roads need to be weighed alongside evidence that roads may benefit nonpoor households more, perhaps making development less even (Hettige, 2006). Furthermore, other impacts, such as increased environmental hazards, pollution, crime and unwanted cultural influences, are often overlooked (Blaikie et al., 1976; Hettige, 2006; Jaboyedoff et al., 2016; Murton, 2016). This paper builds on research and publications questioning the aspirations of the government of Nepal as early as the 1970s and 1980s. The Overseas Development Group at the University of East Anglia pioneered studies to understand short-, medium- and long-term effects of road construction on spatial and socioeconomic inequality (Blaikie et al., 1976; Rankin et al., 2017). Blaikie et al. (1980) revealed the inequalities created by road construction in Nepal, with loss of livelihoods for those without possibilities to invest and enhanced opportunities for those who could (Rankin et al., 2017). The work presented by Blaikie et al. (1980) was conducted during the same period as the Laban (1979) benchmark inventory of landslides in Nepal to document the number of landslides and their origin as either natural or human-induced. Although roads represented a small proportion of total land area at the time, Laban warned that as the road network continued to expand, the number of landslides would “increase drastically in the near future, especially if more careful construction methods are not undertaken” (Laban, 1979, p. iv). Both research projects were widely influential and according to Rankin et al. (2017), the Blaikie et al. (1976) study may have redirected domestic budgets and foreign aid toward other rural development investments. However, this reprieve was soon to end with a greater focus on connectivity in the 10th 5-year plan (2002–2007) and the boom in foreign investments in road construction projects after 2008 and the end of the Maoist insurgency (Pokharel and Acharya, 2015). The 11th plan (2007–2010) established the ambitious goal of constructing a road network throughout the country whereby residents in the hills should have a road available within 4 h walking distance and Terai residents within 2 h (Pokharel and Acharya, 2015). 2 Nepal's mountain roads – vehicles of disaster? Roads in Nepal are generally classified as national roads, (i.e., strategic road network, SRN) under the jurisdiction of the Department of Roads (DOR), or local roads (i.e., local road network, LRN). The LRN is comprised of the district road core network (DRCN) and village roads (VR) under the jurisdiction of the Department of Local Infrastructure Development and Agricultural Roads (DoLIDAR) (Fig. 1). Road building started to gain momentum in Nepal with the advent of multiparty democracy in the early 1990s, intensified further after the Maoist insurgency ended in 2006 and continues to be one of the country's main priorities (DoLIDAR, 2016a; Upreti and Shrestha, 2016). Figure 1Nepal Provincial boundaries and national (SRN) road network highlighting existing and proposed roads, according to DoLIDAR (2016a, b), and main current border crossings with China and India. As provincial administrations are in the process of revising master plans to represent new administrative boundaries, there is opportunity to put in place governance mechanisms for improved road construction and maintenance (source: modified from DoLIDAR, 2016a, b, based on Google Earth imagery). About 20 years ago, Nepal's road network was one of the smallest in the world with a road density for both SRN and LRN estimated at 13.7 km per 100 km2 in 1998 (DOR, 2002, 2017). By 2016, it had increased to 49.6 km per 100 km2 and continues to increase at a very rapid pace (DoLIDAR, 2016a). The SRN expanded rapidly from 4740 km (blacktop, gravel and earthen) in 1998 to 15 404 km in 2016 (DOLIDAR, 2016a). The LRN experienced a 1200 % increase during this period, from 4780 km in 1998 to 57 632 km in 2016, and contains the most common roads in rural areas (DoLIDAR, 2016a). In 2007, the country spent 5.2 % of its national budget on roads, and by 2011/2012 this figure had increased to 8.0 % of the national budget or an estimated USD 491.2 million (WB-GON, 2013). The estimated investment in the LRN was about USD 245.6 million (2011/2012), of which 54 % of the rural road budget originated from donors and 20 % was soft loans to communities. Community contributions amounted to an estimated 12 % of the total budget through their own savings and remittances and earnings from community forestry (WB-GON, 2013; DoLIDAR, 2016b). This demonstrates the significance and priority given to roads and connectivity as a vector for economic development and population mobility. Figure 2Local road, Lower Mustang District, Province 4, Nepal. Credit: Rajbhandari, 2016. Despite the budget and priority allocated to the road network, Nepal's mountain roads are in a treacherous state, subject to frequent rockfall, landslides and accidents (Singh, 2018; DOR, 2013a) (Fig. 2). According to DOR (2013a), one of the main causes of road accidents is road design, including very steep gradients, lack of safety features and poor road conditions. Local road construction or so-called “dozer roads” are most often initiated and constructed by bulldozer owners in collaboration with politicians at the request of communities, without basic grading or drainage (ITAD, 2017; Singh, 2018). The dozer roads are usually constructed or upgraded during the dry season. During the monsoon, road segments are frequently washed out because a majority of these roads lack proper engineering (WB-GON, 2013). Road failures are cleared up at high cost after the monsoon and the failure-and-clearance process is repeated for years until there is no loose soil to block roads (Leibundgut et al., 2016). Environmental impacts include destroyed irrigation schemes, buried springs and contaminated water supplies (Singh, 2018). Initial environmental examinations (IEEs) to reduce environmental impacts are usually required for local road construction but are rarely enforced (ITAD, 2017). Such rapid and ineffective road construction throughout the country, but particularly in the middle hill and mountain areas, is placing increasing pressure on fragile ecosystems, wasting government resources, and increasing risk to road passengers and roadside dwellers (DOR, 2013a; Singh, 2018). Studies have demonstrated that roads are one of the greatest anthropogenic drivers of environmental degradation, erosion and landslides in Nepal (Petley et al., 2007; Leibundgut et al., 2016; Froude and Petley, 2018; McAdoo et al., 2018; Vuilliez et al., 2018). This situation is worsening due to the intensifying rainfall during the monsoon, largely attributed to climate change (Petley et al., 2007; Bharti et al., 2016; Devkota et al., 2018; Froude and Petley, 2018), which has led to a greater occurrence of landslides, especially in the middle hills (McAdoo et al., 2018). The possibility of an earthquake of even greater magnitude than the 2015 Gorkha earthquake (M 7.8) raises concerns about poorly designed roads increasing the likelihood of catastrophic landslides (Singh, 2018). Nepal has a range of acts, regulations, guidelines and directives that require proper road engineering practices, various levels of environmental assessments and approval. However, while funded by government budgets, a majority of local roads do not follow established government practices (ITAD, 2017). Hence, although the legal framework for ensuring proper governance of infrastructure development is well developed with public bodies to monitor and enforce governance, the lack of political will and consensus among political leaders has undermined the impact of these bodies (WB-GoN, 2013). As the country shifts decision-making to the provinces, it is unclear how management of roads will be affected among the main actors such as DOR, DoLIDAR (Department of Local Infrastructure and Agricultural Roads), and rural and urban municipalities. Institutional roles are shifting under ongoing reforms, with executive authority over local infrastructure development being transferred from district level authorities (district technical officer) to provincial public works departments, which are supposed to coordinate with central level ministries and departments (ITAD, 2017). At the time of printing, it is not yet clear which administrative body will have oversight of road policies and alignment of policies among provinces. The risk is that the few gains that had been achieved over the past decade, including a greater emphasis on regular maintenance of roads, become completely diluted (ITAD, 2017). Another development which may affect the type and pace of road construction in Nepal is China's Belt and Road Initiative (BRI). In May 2017, Nepal became a signatory to the BRI with the promise of expanding several trunk roads in order to foster new trade and economic benefits (Economist, 2017). This new “Silk Road” will develop a trade and infrastructure network from China towards the west and south, including countries in Central and South Asia and eastern Europe. The BRI has for now elicited more questions than answers, including which roads will be expanded and will they link rural mountain communities to greater economic development opportunities, better health care and education options, and increased social networks, or will the BRI trunk roads spawn more of the poorly engineered local roads with their demonstrated low cost effectiveness and high environmental impacts? Without adequate controls and support, rural villages can be expected to tie into these trunk roads by expanding the network of poorly constructed local roads, with ensuing environmental, economic and human risks associated with roadside erosion and slope failures that damage both the roads and the neighboring productive land. Despite this bleak picture, Nepal has the governance systems in place to resolve the problem if it chooses to do so. Numerous technical manuals and departmental guidelines provide the basis for good alignment determination, careful engineering, stabilization of incipient landslides in slopes and prevention of erosion through the use of bioengineering (e.g., Deoja, 1994; DOR, 2013b). Nepal has been a world leader in the past and government agencies such as DOR and DoLIDAR all have cadres of highly trained engineers and bioengineers who could fulfill the required technical functions satisfactorily if directed properly (WB-GON, 2013; ITAD, 2017). However, these abilities are currently ignored in the interest of political expediency and a misplaced public perception that quickly opened roads are a panacea for socioeconomic development. Institutions were established to regulate road construction. The Environmental Protection Council was formerly established under the chairmanship of the prime minister to monitor environmental impacts and to regulate the environmental and social impact assessment legal instruments (GoN, 1997) but became an ineffective facade. The Department of Roads' Geo-environmental and Social Unit is also not serving its function. Finally, political influence has overrun any efforts to instill checks and balances (ITAD, 2017), notably by the Commission for Investigation of Abuse and Authority, which was created to highlight cases of poor governance. Yet with the revision of ministerial portfolios in 2018, the reorganized Ministry of Forests and Environment has an opportunity to ensure that statutory environmental safeguards are met by those government units that will be responsible for administering road development. Newly formed provincial administrations are now tasked with revising their master plans and have the opportunity to develop action plans to strengthen governance bodies, increase transparency and enforce regulations. On the surface, roads are vital livelihood links for rural populations for improved access to markets, health care, education, employment and migration. Mobility is increased, rural populations can develop greater resilience to harsh environmental conditions and there are possibilities of new economic opportunities, ultimately reducing economic vulnerability. However, mountain roads, especially when poorly constructed, present particular challenges to sustainability, risk and governance (Sidle and Ziegler, 2012). Hence, the full benefits of such roads in mountainous areas should be questioned. Finally, the issue of poorly designed and risk-filled roads in Nepal is a political rather than technical issue. As Nepal moves towards greater decentralization of power, there is considerable opportunity for its local and national administrations to turn the tide toward safer and more sustainable road development. The two new major drivers of road development in Nepal – decentralization of power and the BRI – could be harnessed to change road construction from the current trajectory toward environmental disaster to development. The high environmental and maintenance costs of haphazard dozer roads could be significantly reduced if government policies were enforced to achieve well-established road engineering designs, including basic standards of road grading, alignment, drainage and bioengineering. Nepal is at a new crossroads with fresh opportunities to rein in the dozer road constructors, but this will require concerted effort and considerably more political willpower than has been demonstrated over the last decade. The authors would like to thank Michel Jaboyedoff, Faculty of Geosciences and Environment, Institute of Earth Sciences at the University of Lausanne, the Ecosystems Protecting Infrastructure and Communities (EPIC) project, managed by the International Union for Conservation of Nature, funded by the German Federal Ministry for the Environment, Nature Conservation, Building and Nuclear Safety (BMUB) 2012–2017, for contributing toward this research along with funding from Yale-NUS College's Centre for International and Professional Experience. We also thank Galen Murton, the anonymous reviewer and the guest editor for suggestions which significantly improved this paper. This paper was edited by Bruce D. Malamud and reviewed by Galen Murton and one anonymous referee. Bharti, V., Singh, C., Ettema, J., and Turkington, T. A. R.: Spatiotemporal characteristics of extreme rainfall events over the Northwest Himalaya using satellite data, Int. J. Climatol., 36, 3949–3962, https://doi.org/10.1002/joc.4605, 2016. Blaikie, P., Cameron, J., Feldman, D., Fournier, A., and Seddon, D.: The Effects of Roads in West Central Nepal, in: 3 Vols., Overseas Development Group, University of East Anglia, Norwich, 1255–1270, 1976. Blaikie, P., Cameron, J., and Seddon, D.: Nepal in Crisis: Growth and Stagnation at the Periphery, in: Vol. VIII, Contributions to Nepalese Studies, Tribhuvan University, Tribhuvan, Nepal, 1980. Bryceson, D. F., Bradbury, A., and Bradbury, T.: Roads to poverty reduction? Exploring rural roads' impact on mobility in Africa and Asia, Dev. Policy Rev., 26, 459–482, 2008. Deoja, B. B.: Sustainable approaches to the construction of roads and other infrastructure in the Hindu Kush-Himalayas, International Centre for Integrated Mountain Development (ICIMOD) Occasional paper 24, ICIMOD, Kathmandu, 70 pp., available at: http://lib.icimod.org/record/24785/files/attachment_366.pdf (last access: 24 March 2019), 1994. Devkota, S. Shakya, N. M., Sudmeier-Rieux, K., Jaboyedoff, M., Van Westen, C., McAdoo, B. G., and Adhikari, A.: Development of Monsoonal Rainfall Intensity–Duration–Frequency (IDF) Curves and Empirical Model for Data-scarce Situations: The Case of Central-Western Hills of Nepal, Hydrology, 5, 27, https://doi.org/10.3390/hydrology5020027. 2018. DoLIDAR – Department of Local Infrastructure Development and Agricultural Roads: Statistics of Local Road Network (SLRN) 2016, Government of Nepal, Ministry of Physical Infrastructure & Transport, DoLIDAR, Babarmahal, 534 pp., available at: http://rapnepal.com/sites/default/files/report-publication/statistics_of_loacl_road_network_slrn_2016.pdf (last access: 24 March 2019), 2016a. DoLIDAR – Department of Local Infrastructure Development and Agricultural Roads: Road Maintenance Groups Guidelines, Ministry of Federal Affairs and Local Development, Department of Local Infrastructure Development and Agricultural Roads (DoLIDAR), Kathmandu, 48 pp., available at: http://www.ilo.org/wcmsp5/groups/public/ (last access: 24 March 2019), 2016b. DOR – Department of Roads: National Transportation Policy Ministry of Physical Planning and Works, 2058 (2001/2002), DOR, Kathmandu, 15 pp., available at: http://dor.gov.np/home/circular/force/national-transport-policy-2058 (last access: 24 March 2019), 2002. DOR – Department of Roads: Nepal Road Standard 2070, Government of Nepal, Ministry of Physical Infrastructure and Transport, Department of Roads, Planning and Design Branch, Road and Traffic Unit, DoR, Kathmandu, 55 pp., available at: http://kec.edu.np/wp-content/uploads/2017/06/Nepal-Road-Standard-2070-1.pdf (last access: 24 March 2019), 2013a. DOR – Department of Roads: Status Paper on Road Safety in Nepal, Europe-Asia Road Safety Forum and the 67th Session of the Working Party of UNECE, New Delhii, India, 4–6 December 2013, GoN, Kathmandu, 26 pp., available at: https://www.flagship2.nrrc.org.np/sites/default/files/knowledge/Status Paper on Road Safety in Nepal - Dep of Roads - 2013.pdf (last access: 24 March 2019), 2013b. DOR – Department of Roads: Road Network Data, Government of Nepal, Department of Roads, DoR, Kathmandu, 17 pp., available at: http://www.dor.gov.np/home, last access: 15 July 2017. Economist: The two sides of the mountain, 23 December 2017, available at: https://www.economist.com/news/asia/21732851-maldives-nepal-and-sri-lanka-are-no-longer-meek (last access: 24 March 2019), 2017. GoN – Government of Nepal: Environmental Protection Act (1997), Government of Nepal, available at: http://mowss.gov.np/article/88/environmental-protection-act-1997-in-nepali.html (last access: 24 March 2019), 1997. 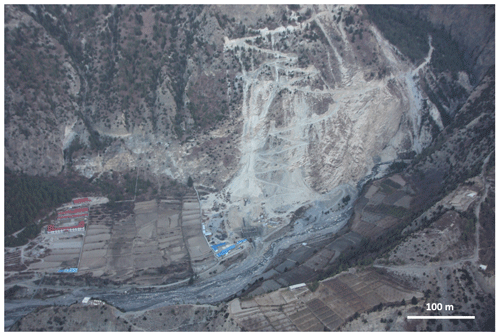 Haigh, M. J., Rawat, J. S., and Bartarya, S. K.: Environmental correlations of landslide frequency along new highways in the Himalaya: preliminary results, Catena, 15, 539–553, 1988. Hettige, H.: Whether the poor benefit from rural roads depends on the contextual situation as well as the assets they hold, Asian Development Bank, Manila, 101 pp., available at: https://www.adb.org/sites/default/files/publication/29406/when-rural-roads-benefit-poor.pdf (last access: 24 March 2019), 2006. Iimi, A., Ahmed, F., Anderson, E. C., Diehl, A. S., Maiyo, L., Peralta-Quiros, T., and Rao, S. K.: New Rural Access Index: Main Determinants and Correlations to Poverty, Transport and ICT Global Practice, The World Bank Group, November 2016, Policy Research Working Paper 7876, World Bank, Washington, D.C., 18 pp., available at: https://openknowledge.worldbank.org/handle/10986/25676 (last access: 24 March 2019), 2016. ITAD: Rural Access Programme Phase 3. Monitoring, Evaluation and Learning Component Review of Rural Roads Maintenance Planning In Nepal, ITAD, Brighton, 20 pp., available at: http://itad.com/reports/nepal-rural-access-programme-monitoring-evaluation-and (last access: 24 March 2019), 2017. Jaboyedoff, M., Michoud, M., Derron, C., Voumard, M.-H., Leibundgut, J., Sudmeier-Rieux, G., Nadim, K., and Leroi, E.: Human-induced landslides: toward the analysis of anthropogenic changes of the slope environment, in: Landslides and Engineered Slopes, Experience, Theory and Practice Proceedings of the 12th International Symposium on Landslides, 12–19 June 2016, Napoli, Italy, 2016. Jaquet, S., Schwilch, G., Hartung-Hofmann, F., Adhikari, A., Sudmeier-Rieux, K., Shrestha, G., Liniger, H. P., and Kohler, T.: Does outmigration lead to land degradation? Labour shortage and land management in a western Nepal watershed, Appl. Geogr., 62, 157–170, 2015. Laban, P.: Landslide occurrence in Nepal, Integrated watershed management torrent control and Land use development project, Ministry of Forest, Department of Soil and Water Conservation and the Food and Agriculture Organisation, Kathmandu, 1979. 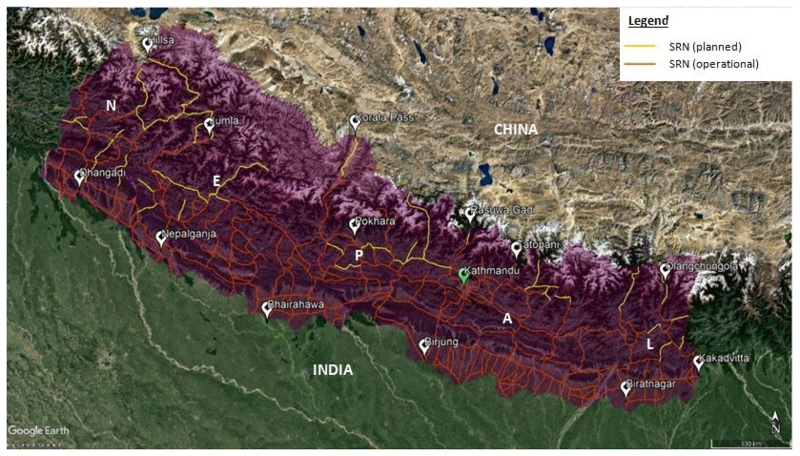 Leibundgut, G., Sudmeier-Rieux, K., Devkota, S., Jaboyedoff, M., Derron, M.-H., Penna, I., and Nguyen, L.: Rural earthen roads impact assessment in Phewa watershed, Western region, Nepal, Geoenviron. Disast., 3, 13, https://doi.org/10.1186/s40677-016-0047-8, 2016. McAdoo, B. Quak, M., Sudmeier-Rieux, K., Gnyawali, K., Adhikari, B., Devkota, S., and Rajbhandari, P.: Roads and landslides in Nepal: How development affects environmental risk, Nat. Hazards Earth Syst. Sci., 18, 3203–3210, https://doi.org/10.5194/nhess-18-3203-2018, 2018. Murton, G.: A Himalayan Border Trilogy: The Political Economies of Transport Infrastructure and Disaster Relief between China and Nepal, Cross-Currents: East Asian History and Culture Review E-Journal No. 18, available at: https://cross-currents.berkeley.edu/e-journal/issue-18/murton (last access: 24 March 2019), March 2016. Pokharel, R. and Acharya, S. R.: Sustainable Transport Development in Nepal: Challenges, Opportunities and Strategies, J. East. Asia Soc. Transport. Stud., 11, 209–226, 2015. Rankin, K. N., Sigdel, T. S., Rai, L., Kunwar, S., and Hamal, P.: Political Economies and Political Rationalities Of Road Building In Nepal, St. Nepali Hist. Soc., 22, 43–84, 2017. Sidle, R. C. and Ziegler, A. D.: The dilemma of mountain roads, Nat. Geosci., 5, 437–438, 2012. 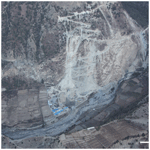 Sidle, R. C., Ghestem, M., and Stokes, A.: Epic landslide erosion from mountain roads in Yunnan, China – challenges for sustainable development, Nat. Hazards Earth Syst. Sci., 14, 3093–3104, https://doi.org/10.5194/nhess-14-3093-2014, 2014. Singh, B. P. S.: From nowhere to nowhere. Haphazard road construction is ravaging the Nepali countryside, Nepali Times, 6 July 2018, available at: https://www.nepalitimes.com/banner/from-nowhere-to-nowhere/ (last access: 24 March 2019), 2018. Starkey, P., Tumbahangfe, A., and Sharma, S.: Building roads and improving livelihoods in Nepal, External review of District Roads Support Project: Final Report, Swiss Agency for Development and Cooperation (SDC), District Roads Support Programme (DRSP), SDC, Kathmandu, 82 pp., available at: https://doc.rero.ch/record/255566/files/46-External_Review_District_Roads.pdf (last access: 24 March 2019), 2013. Upreti, B. R. and Shrestha, G.: Linking migration, mobility, and development for strengthening adaptation to climate and disaster Risks: Reflections from Nepal, in: Identifying emerging issues in disaster risk reduction, migration, climate change and sustainable development – shaping debates and policies, edited by: Sudmeier-Rieux, K., Jaboyedoff, M., Fernandez, M., Penna, I., and Gaillard, J. C., Springer, Switzerland, 146–160, 2016. Vulliez, C., Tonini, M., Sudmeier-Rieux, K., Devkota, S., Derron, M.-H., and Jaboyedoff, M.: Land use changes in the Phewa Lake Watershed of Western Nepal. A comparative study 1979–2016, J. Appl. Geogr., 94, 30–40, 2018. WB-GON – World Bank, Government of Nepal: Nepal Road Sector Assessment Study, WB-GoN, Kathmandu, 54 pp., available at: http://rapnepal.com/sites/default/files/report-publication/road_sector_assessment_study_-_main_report_final_30may2013.pdf (last access: 24 March 2019), 2013. Wire: One Belt, One Road Fuels Nepal's Dreams, 11 July 2017, available at: https://thewire.in/156554/nepal-china-obor-transport-infrastructure/ (last access: 24 March 2019), 2017.